A Christmas dinner isn’t complete without cranberry sauce on the side. This Cranberry Sauce recipe is so easy to make and tastes amazing. You won’t want to buy it readymade ever again! 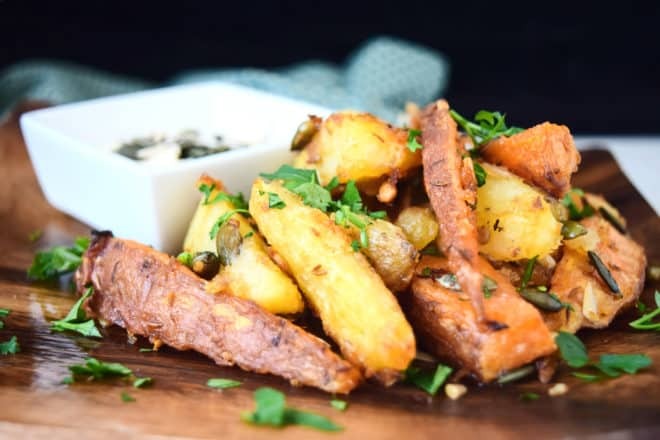 Jazz up plain potato wedges with some whole roasted seeds and a sesame dip on the side. These Rustic Wedges are easy and out of this world amazing! 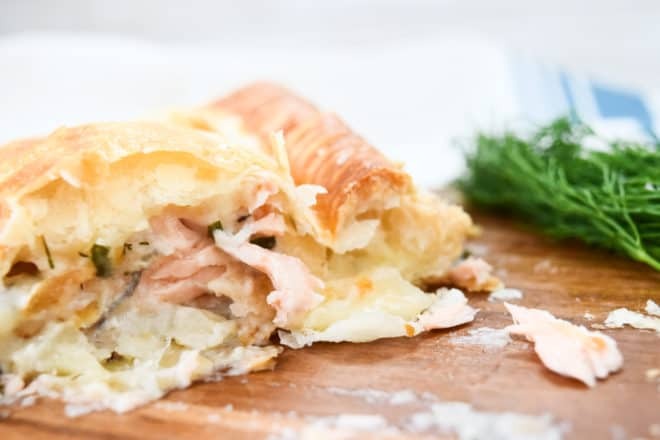 This Creamy Dill and Parsley Salmon En Croute, is impressive! Being served a puff pastry parcel, always gives me the feeling I am unwrapping a delicious present and the creamy sauce is just so… Wow! I can’t stop eating this one!